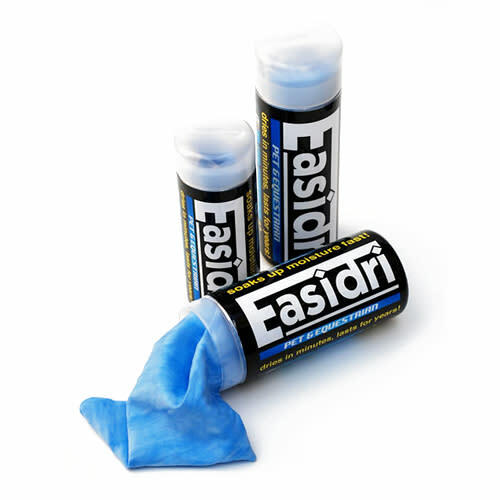 The Easidri dog grooming towel is a super easy to use absorbent towel with several uses and excellent properties. It holds up to 50% more water than regular towel and is a sponge masquerading as a towel. The towel will dry your dog easily and quickly.